Nestled among the rolling terrain and scenic views of Dallas-Fort Worth’s Lake Lavon, Inspiration is a stunning 600-acre Master Planned Community adjacent to the historic town of St. Paul. Named the 2016 Community of the Year, this award-winning community features inspired amenities with multiple pools and playgrounds, open green spaces and plenty of nearby water activities which make it a perfect escape from the fast-paced city life. Whether you are relocating from out of state or looking to escape the busy city, Inspiration will provide the perfect setting for peaceful, comfortable living. 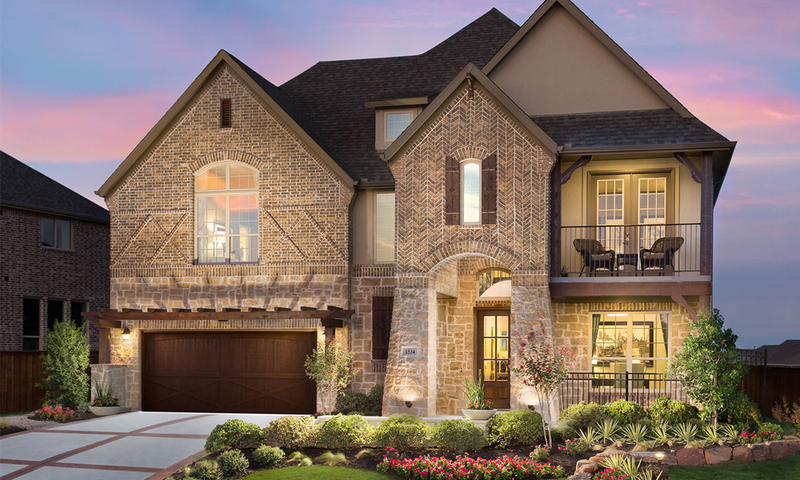 New homes from Dallas’ award-winning home builders: Bloomfield Homes, First Texas Homes, Gehan Homes, Highland Homes, Mercury Custom Homes, Pulte Homes and Shaddock Homes. Amenities like multiple community pools, lazy river, playgrounds, acres of open green spaces, and nearby water activities make Inspiration a perfect escape from fast-paced city life. Inspiration wins another 'Community of the Year - Under 600 Acres' McSam award! The McSam Awards are presented each year by the Dallas Builders Association to recognize excellence and creativity in sales and marketing in the homebuilding industry. 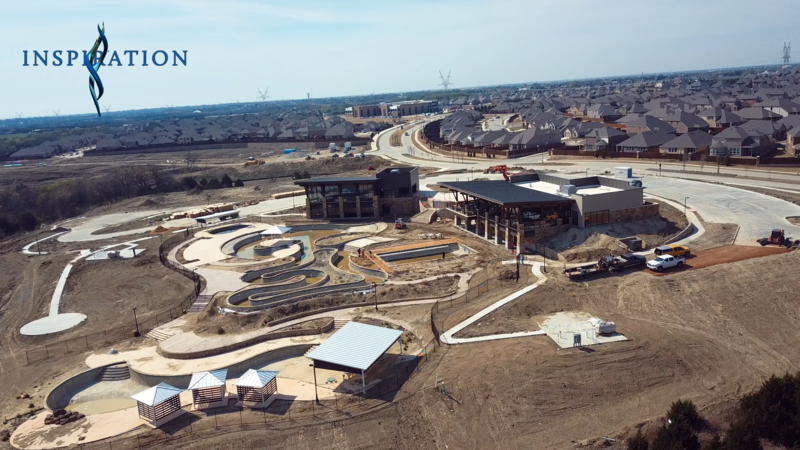 See the latest progress of Club Inspiration in our new drone video, showing construction status through March 2019. At this stage of development, many of the visible changes are taking place inside, and the exterior is still in need of landscaping and finishing touches. 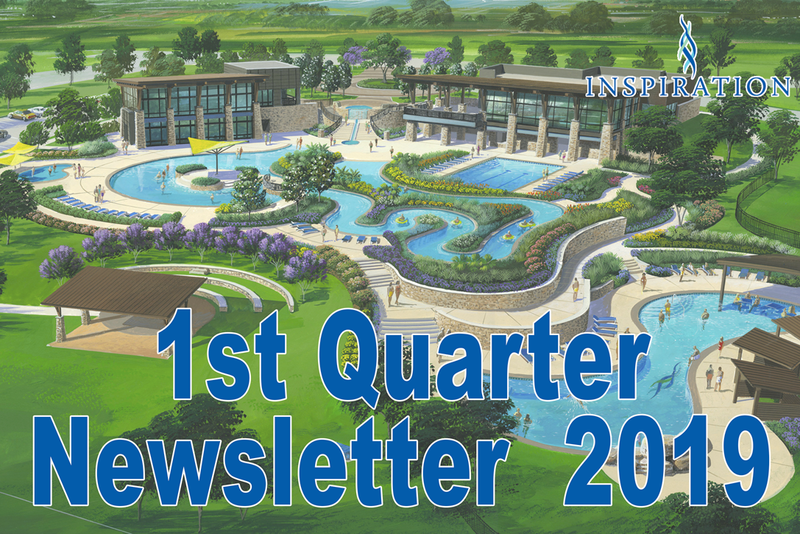 Just in time to still be "first quarter," our first quarter edition of Inspired Living, Inspiration's community newsletter, is now available! This one's a bit of a late release because we wanted to wait for the most accurate update on Club Inspiration, our long-awaited $9M master amenity center opening soon. Another Community of the Year - Under 600 Acres nomination has been granted by the Dallas Builders Association's McSam Awards which annually recognizes excellence in sales and marketing in the real estate development and homebuilder industry. 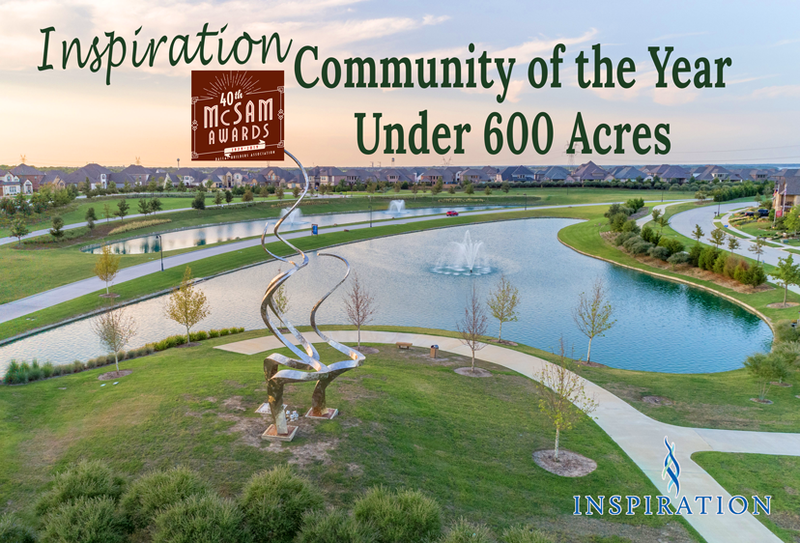 Inspiration was given a Community of the Year - Under 600 Acres McSam Award back in 2016, and we are excited to be recognized again for the honor. In a Huffines Signature Community™, every development detail is thoughtfully planned and executed to create an exceptional lifestyle and ensure lasting value for our residents. It is an honor to be recognized for such efforts through industry awards like these.